The Moto G4 went up for pre-order only yesterday and already, Amazon has it discounted to a ridiculously low price of $124.99. That’s a $75 discount in case you were curious. Now, let’s talk about why Amazon has this phone so cheap, because as you probably guessed, there is a bit of a catch here. 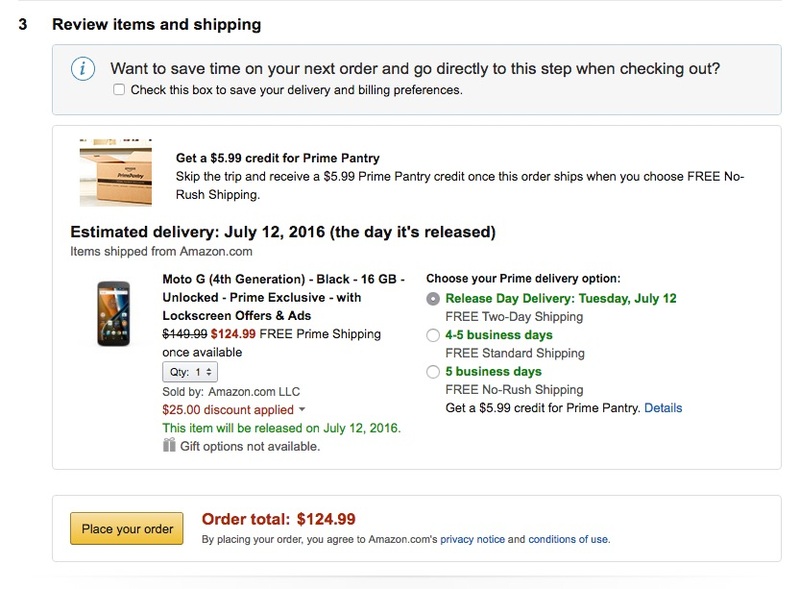 Amazon announced a new program today called Prime Exclusive Phones. This new program sells newly launched unlocked smartphones to Prime subscribers at up to 50% off in exchange for a lock screen with “offers and ads.” Oh, that’s…interesting. How does that work? Well, Amazon is selling you deeply discounted phones in exchange for some space on your lock screen where they can show you ads and product promos. The ads show up in lock screen notification form and can be tapped on if you want to learn more. If you don’t, you can unlock the phone to make them go away. Amazon says that these deals and product recommendations will be personalized, so they aren’t just spamming unrelated garbage at you. The phones also come pre-loaded with a bunch of Amazon apps on the main screen, though you should be able to just remove those shortcuts. Can you remove the lock screen ads? We are still waiting for more information on how that works. Once we have that, we’ll update this post. UPDATE: Amazon tells us that this works exactly like the ad-filled versions of their Kindle products, where you can opt-out with a fee, if you’d like. I’ll be curious to know if you can just replace the lock screen or block whatever Amazon service is in the background pushing these ads. I guess we’ll order one and find out. Now, back to the deal. 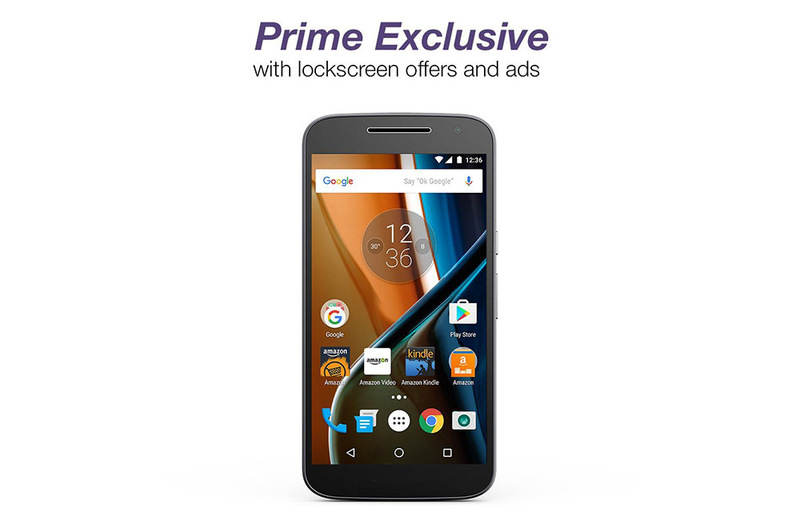 Amazon is currently hosting the new Moto G4 and the BLU R1 HD through Prime Exclusive Phones. You can pickup the BLU R1 HD for as little as $49.99 with a $50 discount, but the Moto G4 is probably the phone to consider here. The Moto G4 16GB and 32GB models have both been discounted by $50 to $149.99 and $179.99, respectively. However, as a special deal, Amazon is also slashing another $25 off each in cart, hence the $75 discount I referenced in the opening. So in exchange for some ads on your lock screen, you could own the Moto G4 for as little as $125. You tell me if it’s worth it.